Little Giant Ladder commercials have been on TV for what seems like forever and have featured some of the big names in home improvement TV. There have been a number of different models that have come out over the years and they are all pretty well received buy users. If you have ever shopped around for a Little Giant Ladder you might have noticed that the prices are all pretty even from store to store, so finding a good deal can be hard. When we do find a sale we take notice. Woot.com has the Little Giant Alta One Model 22 marked down from a regular price of between $260-$270 to $219. 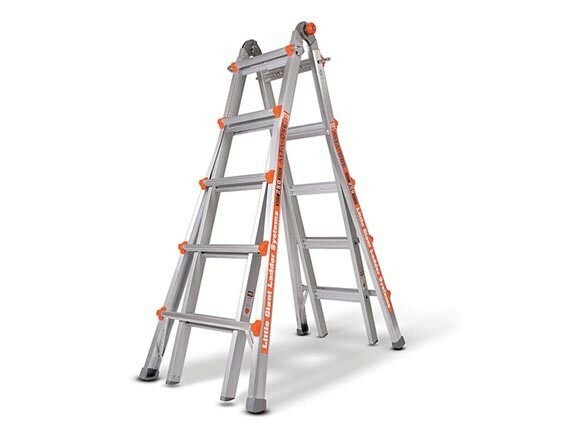 What sets the Little Giant apart from typial ladders is its ability to transform to fit your needs. It can be an A-frame one day and a straight ladder the next. It is listed as having a total of 33 configurations. The Alta One Model 22 is rated to 250 lbs and has a maximum length of 22-feet. It is also made in the USA. 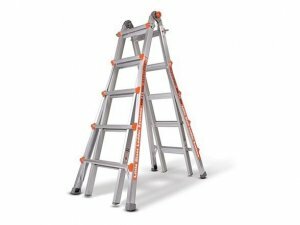 Woot also has other Little Giant accessories on sale, and some say they work with other similar ladders.